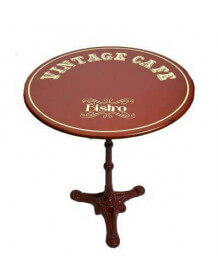 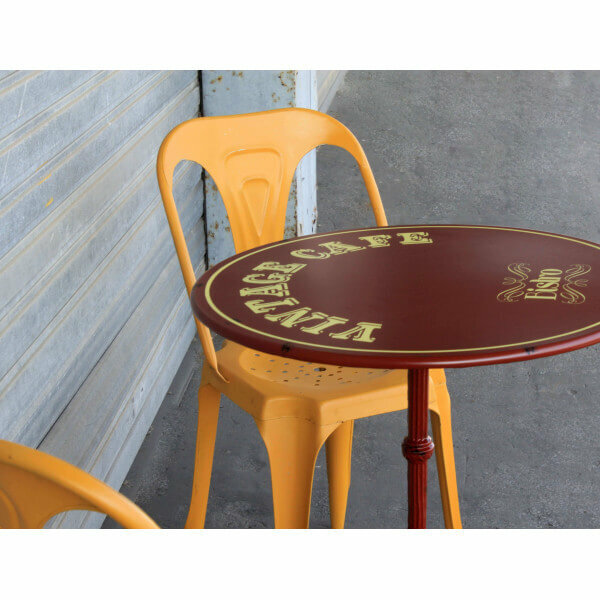 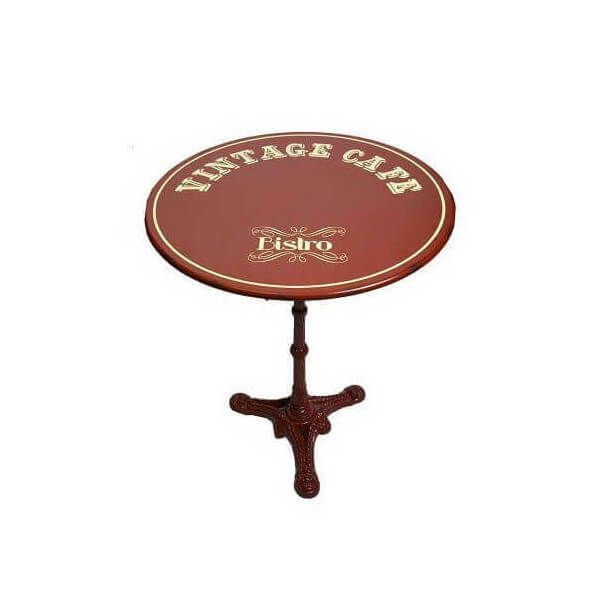 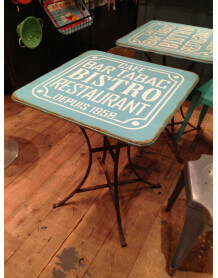 Round table in vintage style with inscription "vintage cafe bistro" on its top. 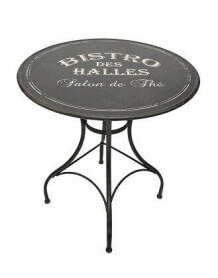 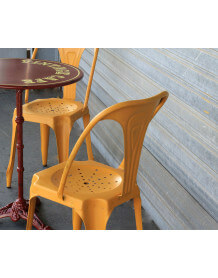 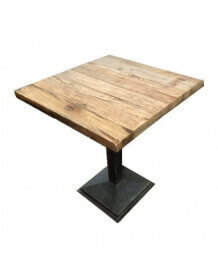 Ideal furniture for restaurants, cafes, tea rooms but also for your own personal kitchen or used as a decorative side table in your living room. 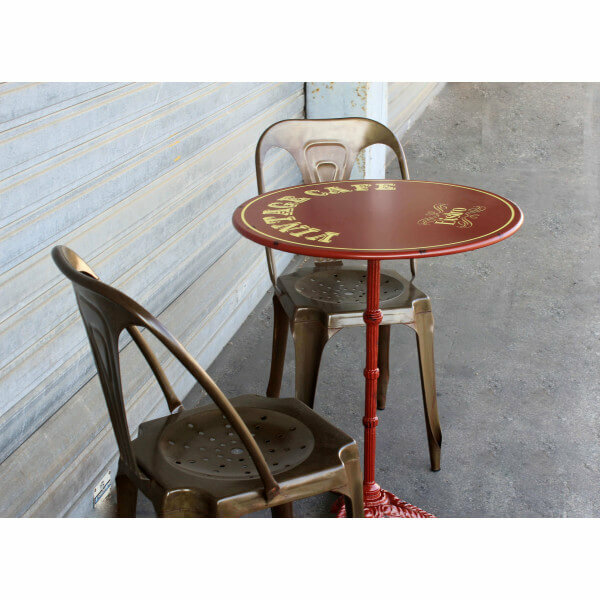 Its steel plate and cast iron leg are laquered in darkred.